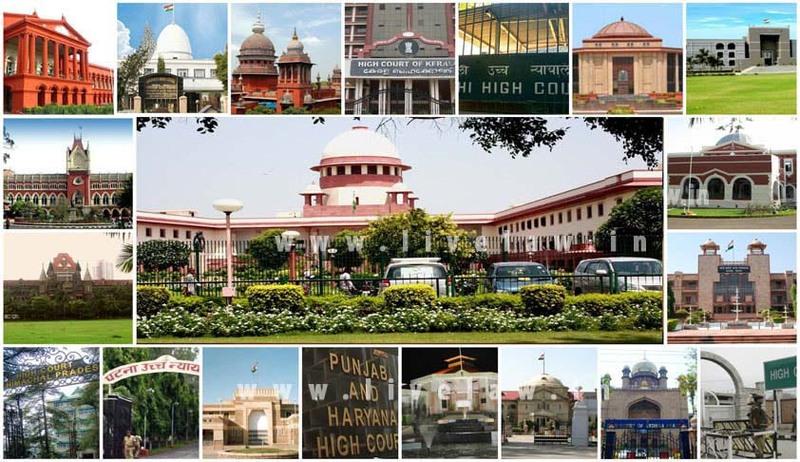 The Collegiums of about 10 States have reportedly recommended more than 100 candidates to the Law Ministry, for appointment to their respective High Court benches. These candidates add to nearly 80 lawyers and lower Court Judges being scrutinized for the posts. The Law Ministry however, is deliberating whether to use the old Memorandum of Procedure, or wait for the approval of the new MoP. The Draft Memorandum of Procedure, which was directed to be drafted by a Constitution Bench of the Supreme Court in December last year, has reached the Prime Minister’s Office for approval. After the PMO’s approval, it would be sent to the Chief Justice of India for final approval. The Draft MoP, which intends to lay down the broad framework for appointment of Judges by the collegium, recommends that the Attorney General at the Centre and Advocates General in the states should have a say in recommending candidates for appointment and elevation of judges of the Supreme Court and High Courts. It also mandates that up to three judges in the Supreme Court should be from the Bar. You may read the LiveLaw article here. There currently exist about 465 vacancies in the High Courts of the country. Out of the 24 High Courts, 16 are working on less than 65% of their approved strength, considerably waning the working capacity of the Judiciary. As on March 1, 2016, Allahabad High Court had the largest number of vacancies, standing at 88. It is hence currently working at less than 50% of its approved strength. Besides, Chhattisgarh High Court is also working at less than 50% of its approved strength. 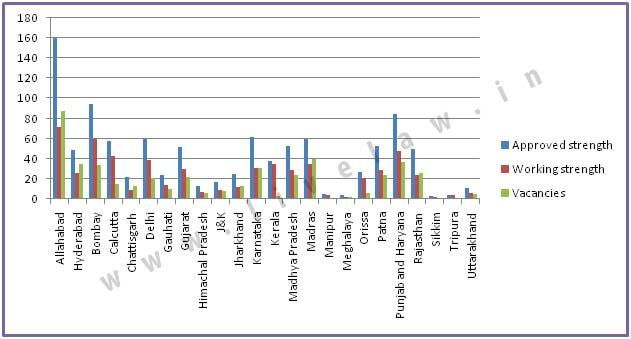 Even though Punjab and Haryana High Court has the second largest approved strength, it is working at 56% of that strength. Tripura High Courts is the only one functioning with no vacancy. Manipur and Sikkim High Courts are functioning with 1 vacancy each.